Dragon Chow makes all kinds of great dice bags, but I audibly gasped when I saw this one yesterday. Combine my love of D&D and Doctor Who? Put all of my dice in a bag that is arguably much bigger on the inside? Be the envy of all my friends? Yes please! 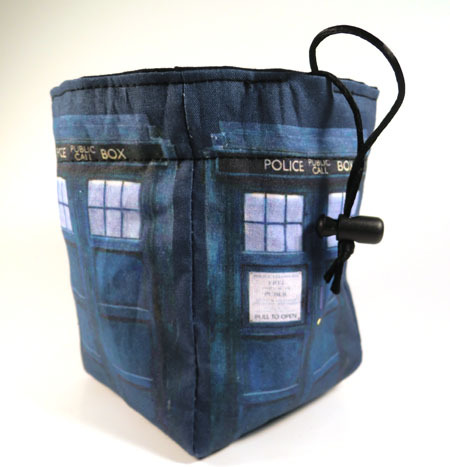 The Tardis bag, like many of her dice bags, is $13. You can see all of her designs (featuring tons of other great geeky fandoms!) at DragonChow.com.